Does a ‘Code of Silence’ Among Students, Parents Abet School Shootings? Students in Des Moines, Iowa participating in the April, 2018 national school walkout called for action to prevent gun violence in schools. But a Police Foundation study suggests that the lack of communication about signs of student distress also has a critical role to play in school safety. Photo by Phil Roeder via Flickr. School shootings can be averted when parents, school authorities and students themselves take seriously the signals indicating potential violence from troubled youths, and communicate their concerns as quickly as possible, according to the National Police Foundation. In two companion studies of 51 completed and 51 averted incidents of school violence that have occurred in the U.S. since the 1999 Columbine High School shooting, researchers found that the reluctance to break the “code of silence,” and tell responsible authorities about fellow students who openly make threats or display signs of mental instability is a critical factor determining whether a tragedy occurs or is prevented. Langman, a psychologist and expert on school safety, and Straub, a former Spokane police chief who is now director of the National Police Foundation’s Center for Mass Violence Response Studies, found that, although there was no typical school shooting, there were common factors connecting many of them. The incidents studied—which were not intended to be a comprehensive list of all the school shootings in the US since 1999—were mostly committed by males under the age of 27, most of whom already had a “history” of mental instability. “A majority of perpetrators who completed attacks had a history of being treated for one or more mental health issues or development disorders,” said the paper. Often there were clear signals of homicidal intent long in advance that parents or students failed to take seriously. In one example, a perpetrator was so obsessed with the Columbine shooting that he convinced his mother to drive him across country so he could see the site where the shooting happened. “Despite knowing that he was suicidal and obsessed with Columbine and owned firearms, she apparently did not recognize these factors as warning signs for violence,” the authors wrote. In several cases, students or parents ignored comments about proposed violence—especially when they were made in a joking manner, or failed to recognize signs of mental illness—underlining the need for a changed national approach to mental health, the paper said. “Increased knowledge about mental health and the signs of psychological distress could have resulted in better intervention by parents, teachers, and others,” said the authors. “In addition, the stigma regarding mental health treatment has been a barrier that has kept people from getting help. The second paper, by Jeff Daniels, attempted to identify the factors in the 51 “averted” incidents that prevented potential tragedies from occurring. Daniels focused on two contrasting cases. In the first, a 17-year-old boy, his brother, and friends, calling themselves the “Trench Coat Mafia” in imitation of a group of students at Columbine, plotted to blow up their school and shoot any surviving teachers and students as they fled. But one of the conspirators disclosed the plot to a teacher, who then passed the information along to a school resource officer, who notified the local police. As a result of the investigation, five youths were arrested. In the second case, a bright 15-year-old boy from a broken home who had begun to do poorly in his studies, talked repeatedly with friends about “pulling a Columbine” and bringing a gun to school and kill people. His friends largely dismissed it as a joke. When he actually announced he was going to “bring a bunch of guns” to school the next day, some of his friends were concerned enough to pat him down for a gun. However, they failed to search his backpack, which contained the gun. He entered the school and shot 15 people. “The primary difference between the two case examples is that in the averted shooting, multiple people reported their concerns, but in the completed shooting, no one who was concerned about a possible attack contacted either the school or local law enforcement,” Daniels said. The reluctance to tell authorities or others their fears is a result of the “code of silence” that prevails among many young people who fear being called snitchers, the paper said. The National Police Foundation studies were part of an Averted School Violence project that began in 2015 and was funded by the Office of Community Oriented Policing Services (COPS) at the Department of Justice and the National Institute of Justice (NIJ). The project selected an equal number of averted and completed incidents to establish a database from which it could draw conclusions and recommendations for law enforcement, community groups, parents and educators. Both papers drew a number of other lessons from their study related to school security, first responders and strengthened community partnerships. One lesson was that expulsion of students who exhibit troublesome behavior was not likely to head off a shooting incident, noting that in several cases students who were suspended returned later to the school with a gun and committed murder. Other recommendations for school authorities, parents and law enforcement have frequently been made by other experts. 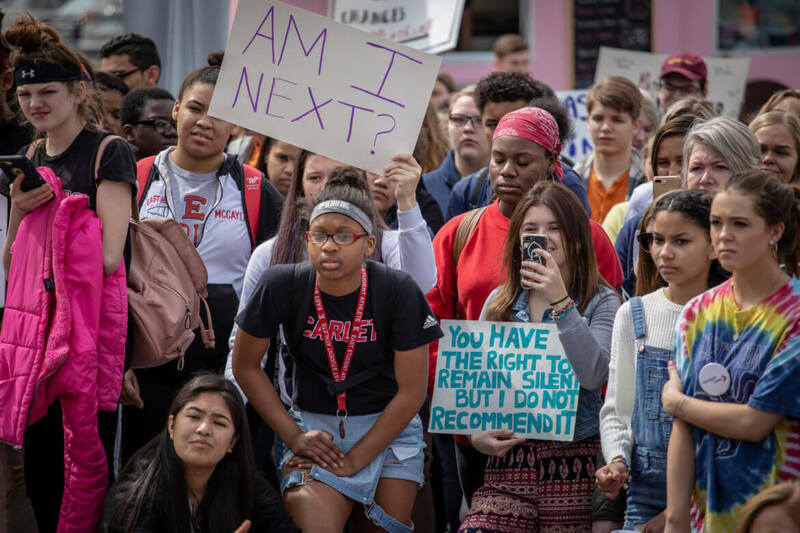 Both papers notably stayed away from hot- button issues raised by advocates on different sides of the debate about preventing mass shootings in schools, such as stricter gun control or arming teachers. Parents should not hesitate to check diaries, papers or social media used by young people who have displayed problematic behavior. But the overall conclusion of both papers is that early and transparent communication among all the players who are likely to be involved in a school shooting incident is a primary factor in keeping schools safe. Additional Reading: Stopping School Shootings: Is Colorado’s Safe2Tell Hotline a Solution? Both papers are available for download. The Langman-Straub paper is accessible here. The Daniels paper can be accessed here. Gov. Ron DeSantis has been in office less than a month, but some of his appointments suggest a surprising willingness to consider major changes in the state’s justice system.